“It is in our nature to want more, especially when it comes to food. Some of the most embarrassing times are when your loved ones narrate stories about your childhood- possibly an incident that pretty much establishes that you were a notoriously mischievous brat. Not surprisingly, I too have those moments but then again majority of my relatives also spoke a lot about my love for food- especially Biriyani. They say- round about the time I was going to playschool, I used to say Buruyani instead of Biriyani and if mom was cooking the same for lunch, I’d be right beside her, pulling her sareee asking, “Amma when will it be ready?”. 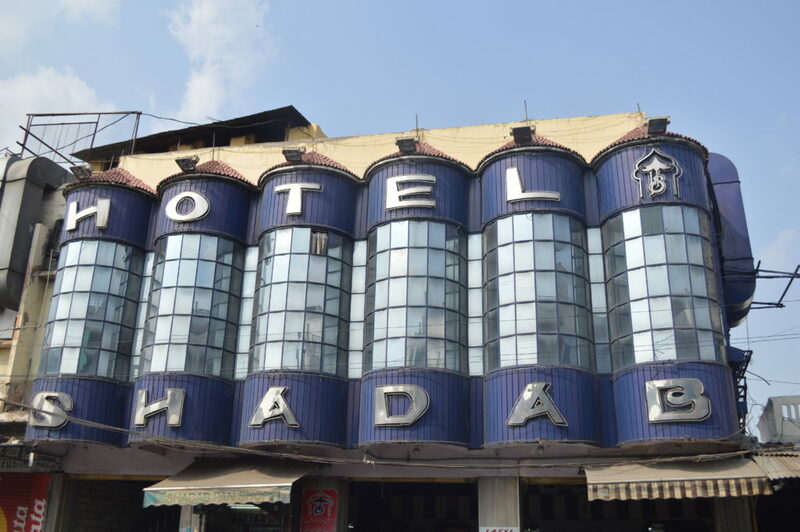 Located at Ghansi Bazar– less than a kilometer from the famous Charminar– I found Hotel Shadab to be the only restaurant that not only serves the best Hyderabadi Chicken Biriyani but also has been doing that consistently. I have visited this restaurant n-number of times and also advocated my family and friends to do so. 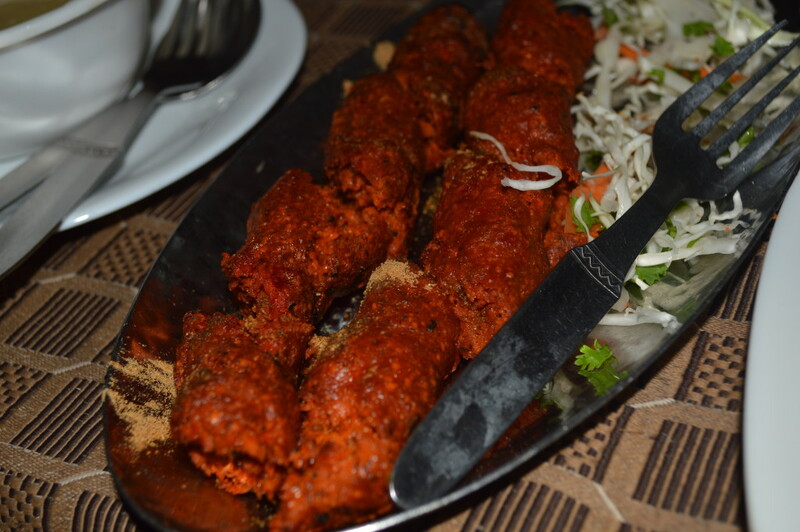 Boti kebab- intensely marinated mutton cubes cooked on a skewer in a Tandoor, this was brilliant. enhances the taste to a different level. 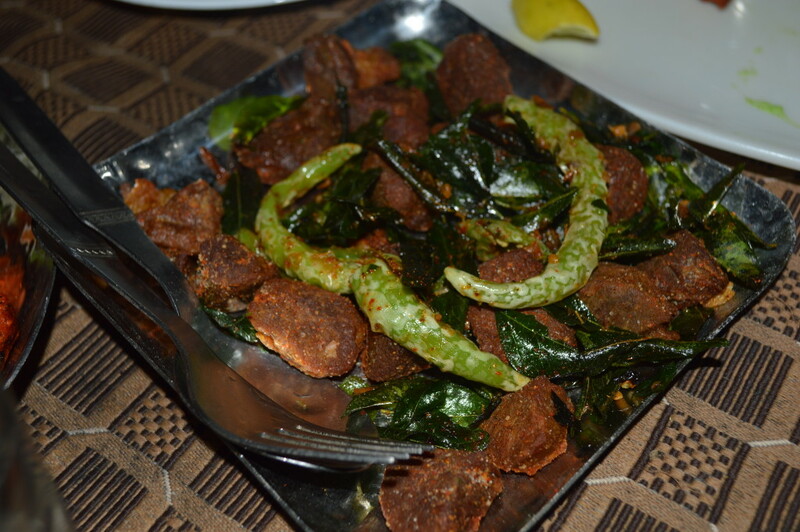 a crunchy texture and flavor, whereas the latter is mostly cooked on a type of Kadai (or Karahi) with masala, onions etc. flavor would be nothing short of orgasmic. lies the key to tingling your taste buds. 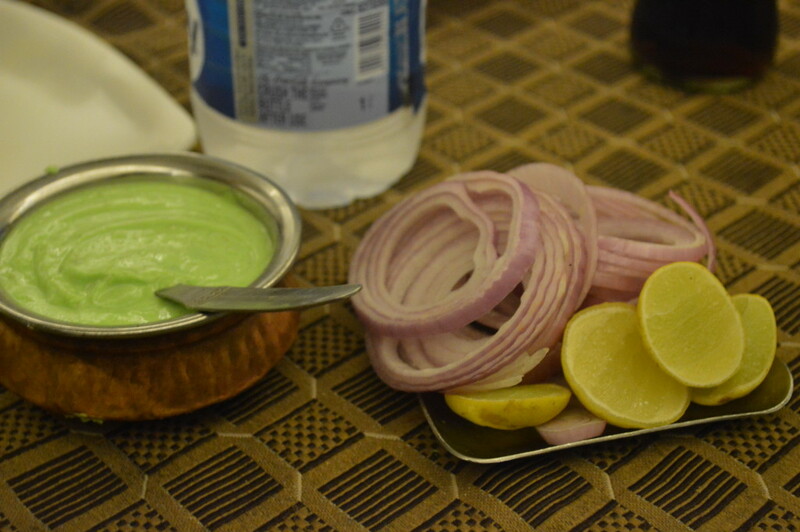 A special mention of this chutney served at Hotel Shadab- personally, the best in town. Finally main course and what else can I think of other than Buruyani.. Sorry Biriyani! 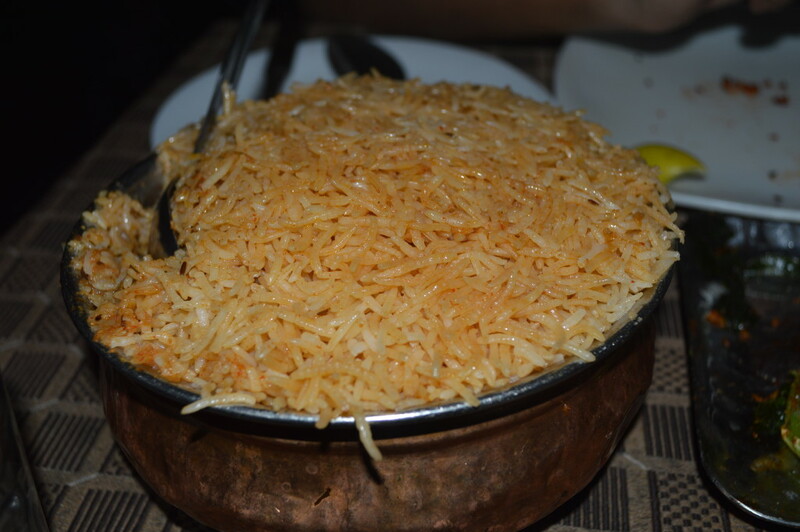 I don’t think that I have to mention again- but your looking at the best Chicken Biriyani in town! 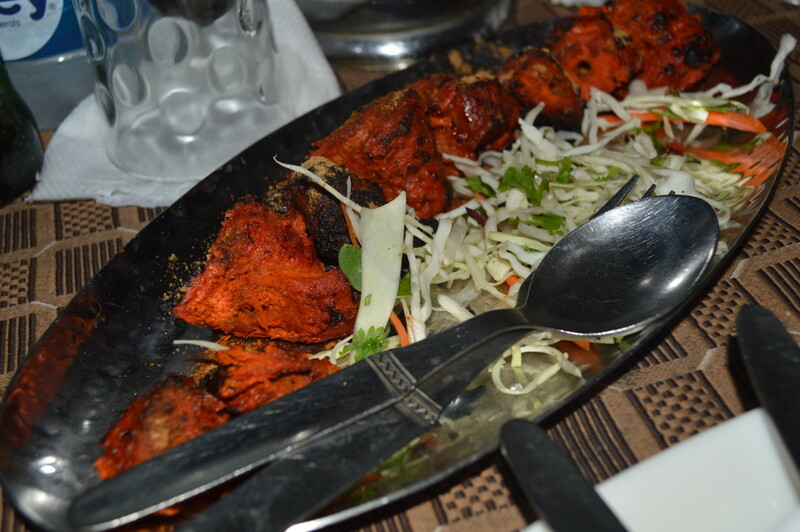 the masala- spiced just right and in quintessential quantity- Do not miss out on this! 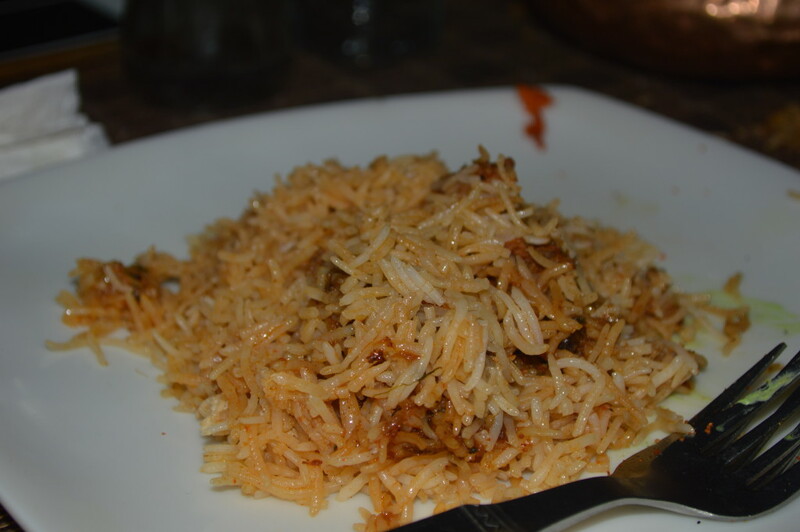 Hotel Shadab is THE place to eat the best Biriyani in town; most people have heard about it but were reluctant to travel to Ghansi Bazar, because the area tends to get really crowded and parking spaces are tricky to find. On that note, Hotel Shadab extended their service by means of a take-away (Hotel Shadab take Away) outlet which is located near the TV9 Office, Banjara Hills. Frankly, I cant think of any reason to complain about Hotel Shadab but a suggestion to expand (if there is an option) the existing restaurant, because that would help reduce the wait-time for a table. I am also happy that I finally found the time to mention and review this legendary restaurant a month before I finally bid adieu to a city I spent 5 wonderful years of- half a decade that features very significant moments in my life… You gotta eat here!